Ciprofloxacin (Cipro) is a relatively inexpensive intravenous, oral, and topical fluoroquinolone antibiotic used to treat a myriad of conditions ranging from complicated urinary tract infections (UTIs) and infectious diarrhea to intraabdominal infections and even the plague and inhalational anthrax post-exposure. This class of bactericidal medications works by inhibiting DNA gyrase and topoisomerase IV. Generally, fluoroquinolones also have excellent oral bioavailability but must be administered cautiously in patients receiving cations (ie, oral calcium or magnesium repletion) as these can reduce drug absorption. Contraindications include hypersensitivity/allergies to fluoroquinolones or if a patient is already taking the muscle relaxant tizanidine (concentrations are significantly increased with ciprofloxacin). Additionally, ciprofloxacin has black box warnings outlining muscle weakness exacerbations that can be induced in patients with preexisting myasthenia gravis, peripheral neuropathy, and tendon rupture (most commonly the Achilles). 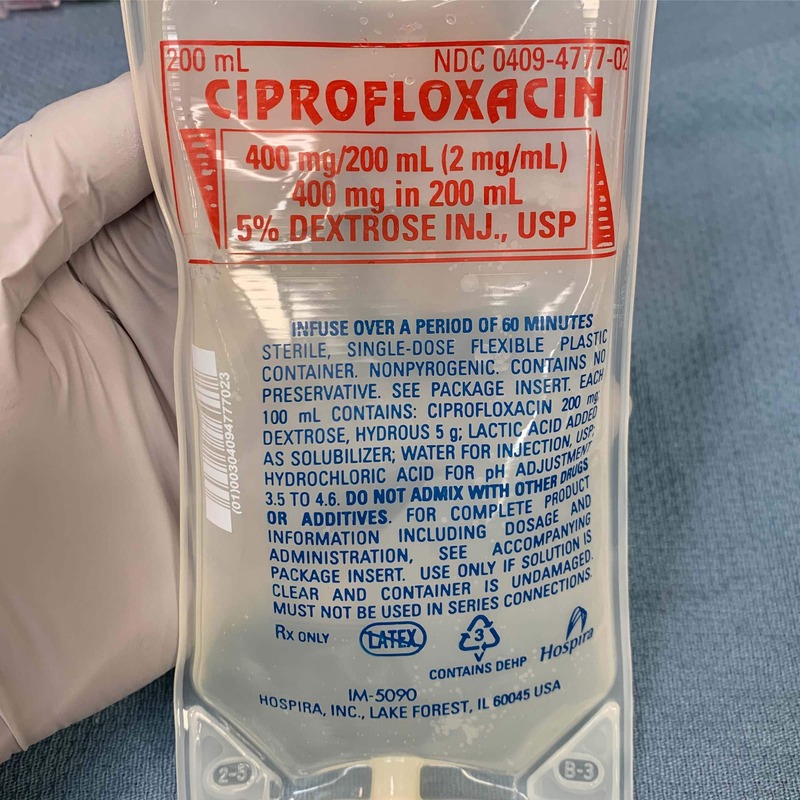 As an intensivist, I most commonly write ciprofloxacin for complicated genitourinary infections, but among the fluoroquinolones, I tend to use it less frequently overall than levofloxacin. With that said, practicing good antibiotic stewardship is a priority! If the site of interest can achieve a tissue concentration to treat a clinical infection that is susceptible to ciprofloxacin, then I’ll certainly use it! With quinolone resistance on the rise, providing the narrowest spectrum antibiotic for the shortest course is important.